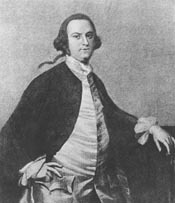 CARROLL, Daniel, (uncle of Richard Brent, cousin of Charles Carroll of Carrollton, and Charles Carroll ``Barrister''), a Delegate and a Representative from Maryland; born in Upper Marlboro, Prince Georges County, Md., July 22, 1730; educated at the Jesuit School at Bohemia Manor, Md., and at St. Omers College, France; returned to Maryland in 1748; member of the Md. state executive council, 1778-1781; member of the Continental Congress, 1781-1783, signing the Articles of Confederation on March 1, 1781; appointed a delegate on May 26, 1787, to the convention that framed the Federal Constitution, and signed the Constitution; member of the Md. state senate, 1781-1789; president, 1786-1787; elected as a Pro-Administration candidate to the First Congress (March 4, 1789-March 3, 1791); took an active part in fixing the seat of government for the United States; appointed on March 4, 1791, as one of the commissioners to locate the District of Columbia and the Federal City and served until July 25, 1795, when he resigned; engaged in agricultural pursuits, his farm being the site of the present city of Washington; died at Rock Creek (Forest Glen), near Washington, D.C., May 7, 1796.